Grab your NEW SCENTS for spring! Our blooming April Sampler has two brand new scents, Teakwood Coconut and Blackberry Sage. These two captivating scents are so intriguing, they are perfect for getting you in the mood for spring. 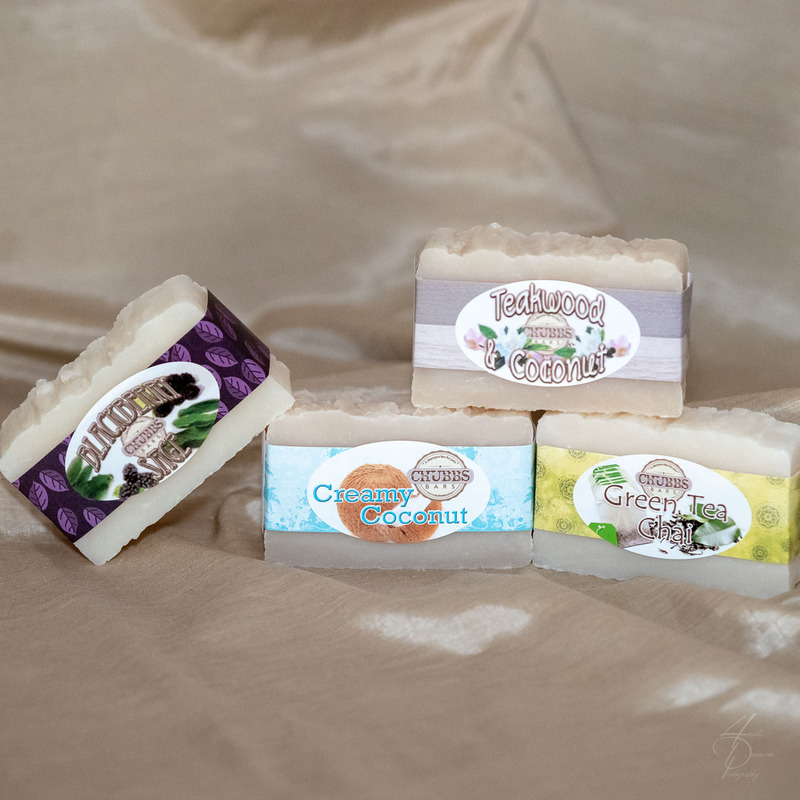 Our ever popular Green Tea Chai and Creamy Coconut bars complete this colorful new set. Since April is our Customer Appreciation Month, as a BONUS you will receive one free "Lavender Chamomile" scented bar! It’s our way of saying THANK YOU for being such a great Chubbs Bars customer! NOTE: Average usage is 10-12 cats or small dogs, 8-10 medium dogs, 6-8 large dogs, bathed per bar, lathering twice for each pet and using Chubbs Bars exclusively. Using this average, the shampoo costs are approximately between $.64 and $1.02 per pet with two lathers, using Chubbs Bars exclusively.